$10.00 for each (maximum 3 samples). Blank Sunglasses are provided for quality evaluation upon request. • Price Displayed Includes One Arm Single Color Imprints! 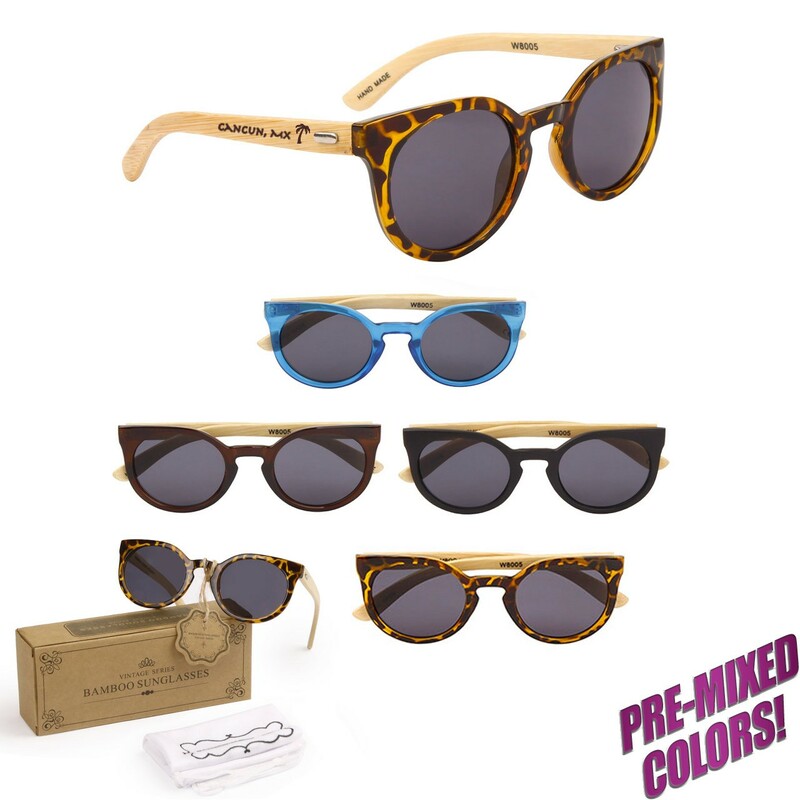 Gorgeous new Cat Eye Wooden Sunglasses available for customization! 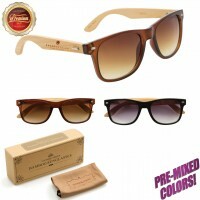 Make a splash with these stylish premium bamboo hand-made sunglasses. Perfect for your brand, logo or personal message. All artwork is free of charge, your personal print assistant will work closely with you to ensure that your personalized wooden sunglasses are absolutely perfect! All printing is done in the U.S.A., ensuring fast turn-around times and our prices can't be beat! 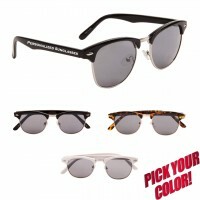 Below is an illustration of available print area for Personalized Wooden Sunglasses. Assorted colors included in Personalized Wooden Sunglasses WP8005. Sold in 12 piece units, shown below is an estimated quantity of frame colors included.